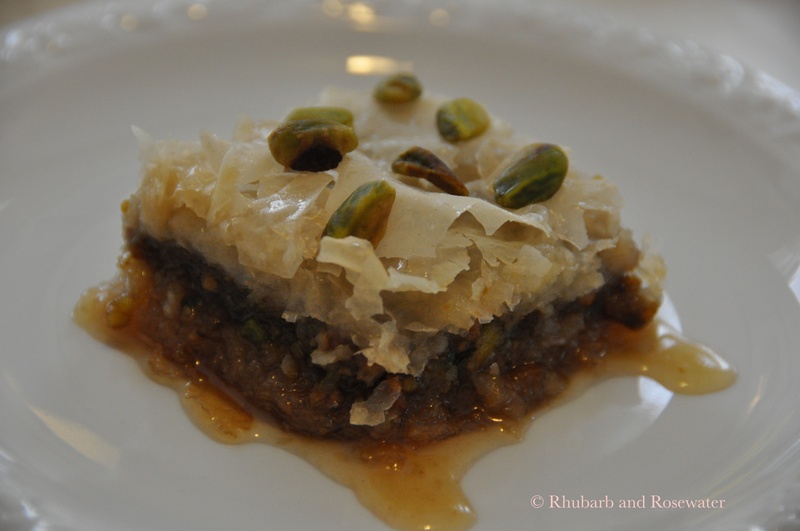 This is a simple recipe for baklava, the delicious Middle Eastern pastry. 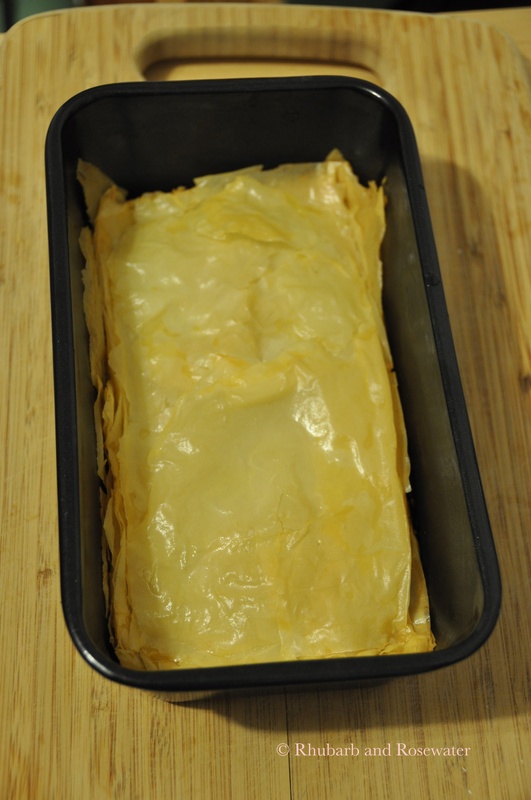 I used one package of phyllo dough to make three different kinds of baklava: One large pan of cinnamon and walnut baklava, and a small pan each of rosewater and almond baklava as well as honey and pistachio baklava. The sweet pastries are wonderful with a cup of black tea or coffee. 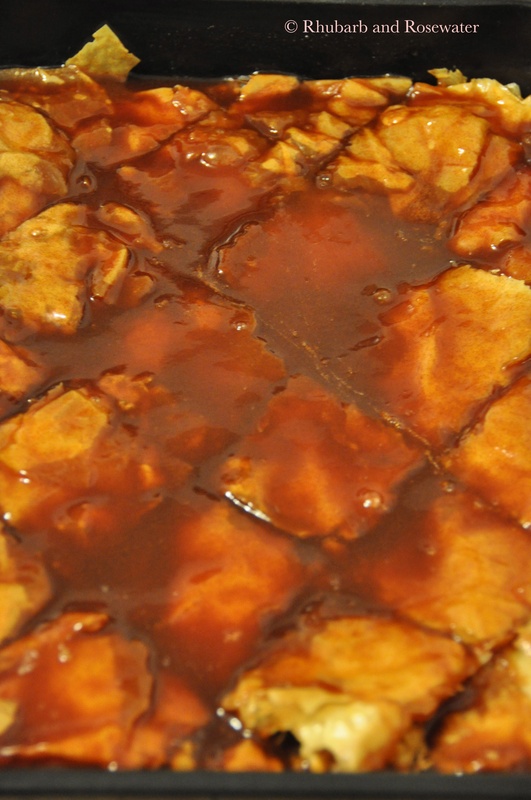 I like my baklava juicy and so I pour a lot of syrup on them. However, this also means that they are very sweet. If you would like them less sweet or less juicy just use less syrup or reduce the amount of sugar in the syrup. 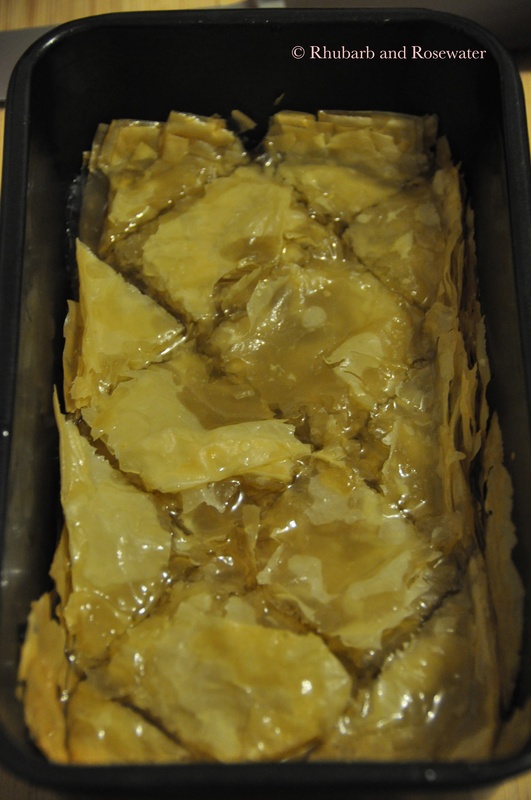 If, like me, you prefer syrupy baklava give the pastries some time to soak in the syrup. I usually let them sit overnight before I serve them. Last but not least, the recipe is ideal for experimenting: Use a mixture of nuts, different spices, or add citrus juice or peel. 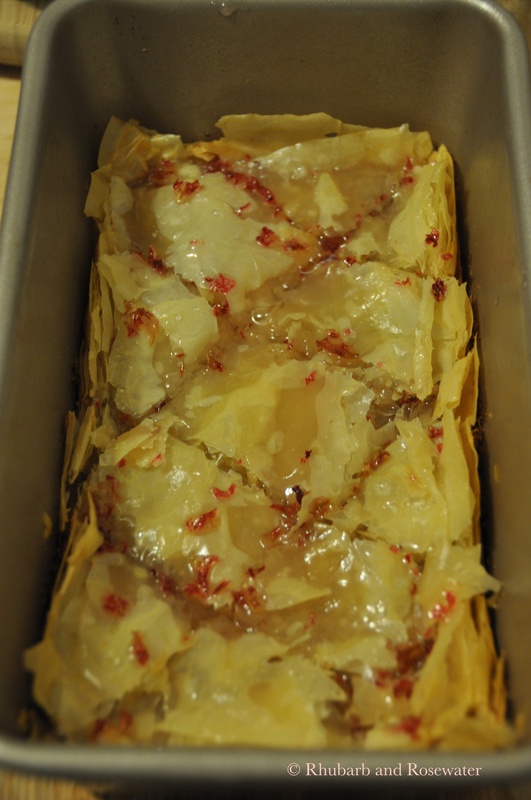 I used rose petals for the almond and rosewater baklava, which you can get in Middle Eastern grocery stores or you can order them online. I got mine from my favorite Persian online grocery, which is called Kalamala and carries all the spices and special ingredients I need for my cooking. 1.) Prepare the syrup: Mix the ingredients for each syrup (water, sugar, and the special ingredient) in a sauce pan and bring to a boil. Cook the syrup for 3-6 minutes while constantly stirring. 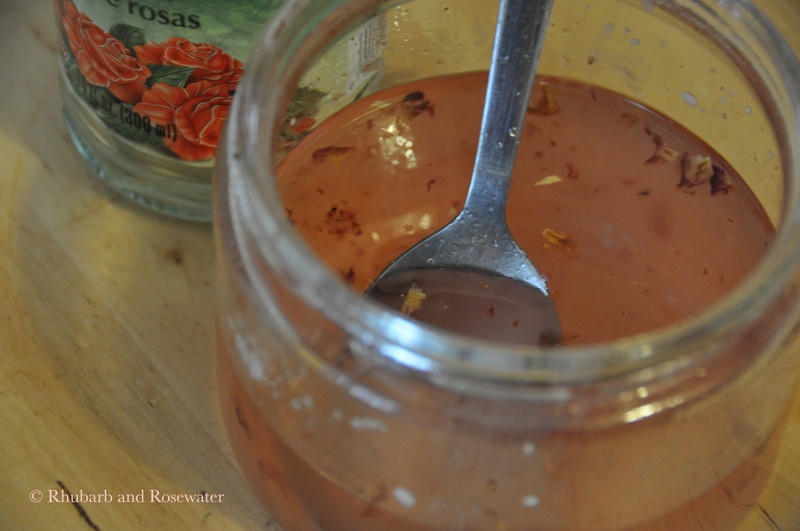 Afterwards fill the syrup in a jar and when it has cooled down a little put it in the fridge. 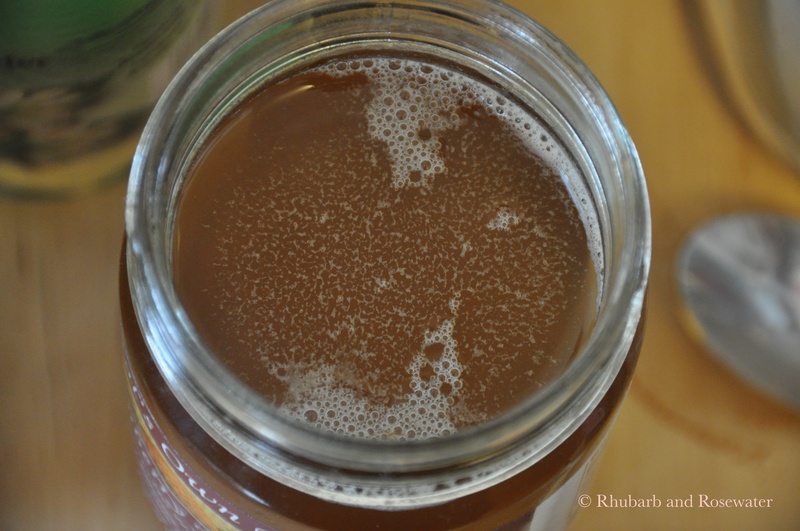 Consistency of the syrup: The syrup will thicken some more in the fridge. Don’t boil it too long in the pan as you don’t want it to caramelize. 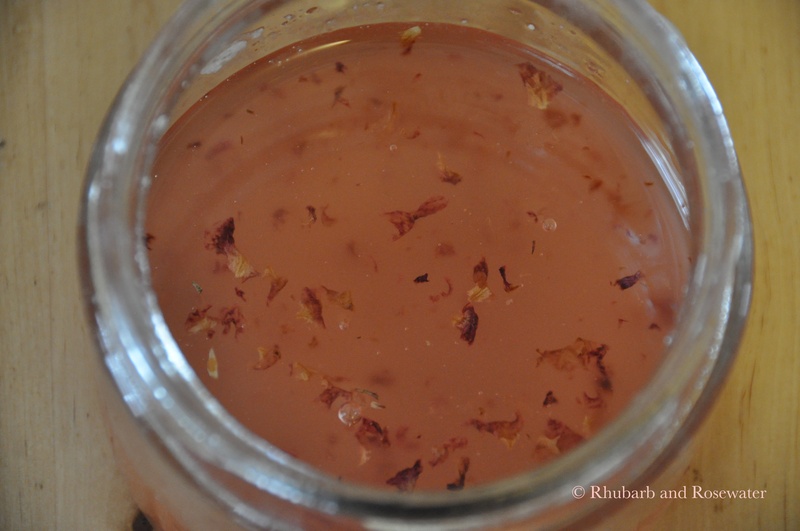 If the syrup is too thick, it will not permeate the balava, but stay on top as a thick layer instead. 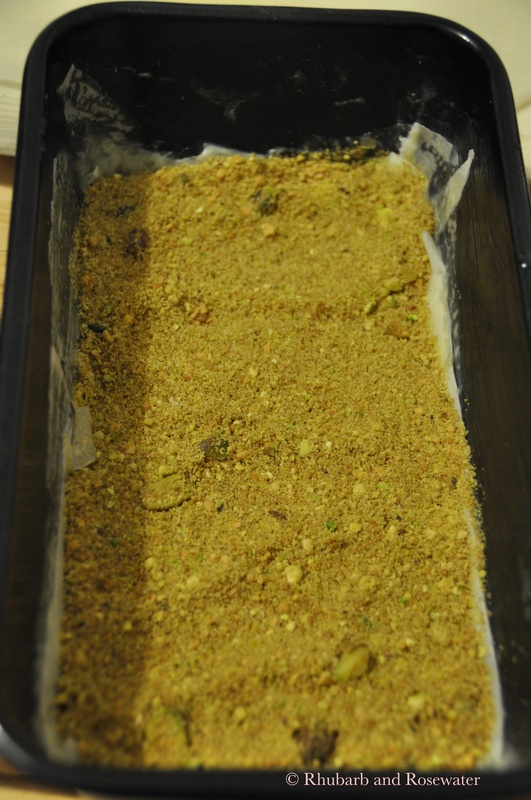 So let it thicken a bit, but don’t wait until it has chewy structure. 2.) Preheat the oven to 350˚F and butter the pans. 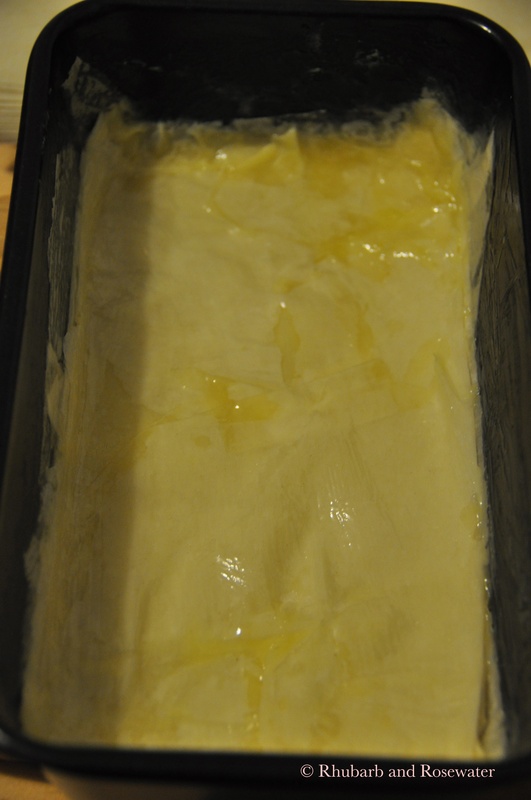 Melt the rest of the butter in a small pan. 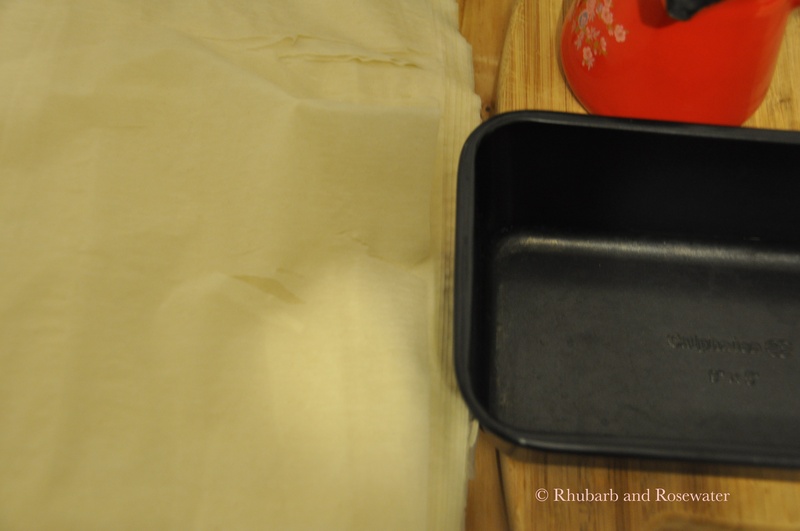 Place the phyllo dough on a table or work space. 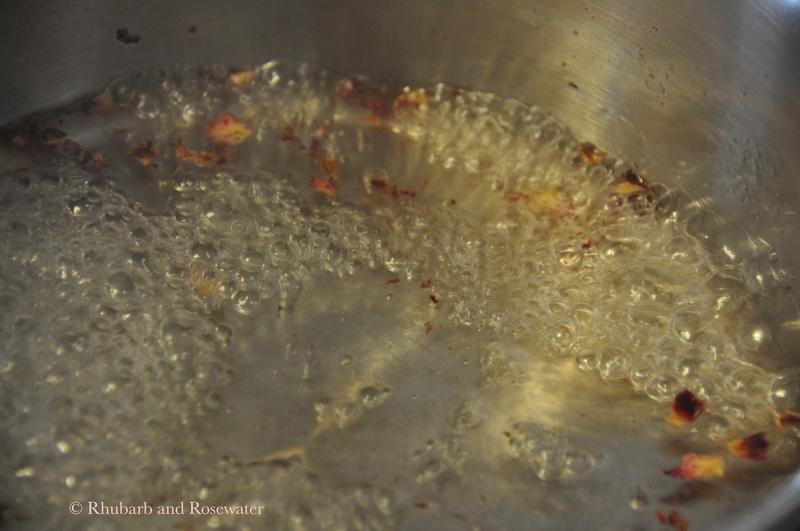 Place a layer of the dough in the buttered pan and spread some molten butter on it. Continue repeating this until you have buttered 6-7 layers of dough. 3.) 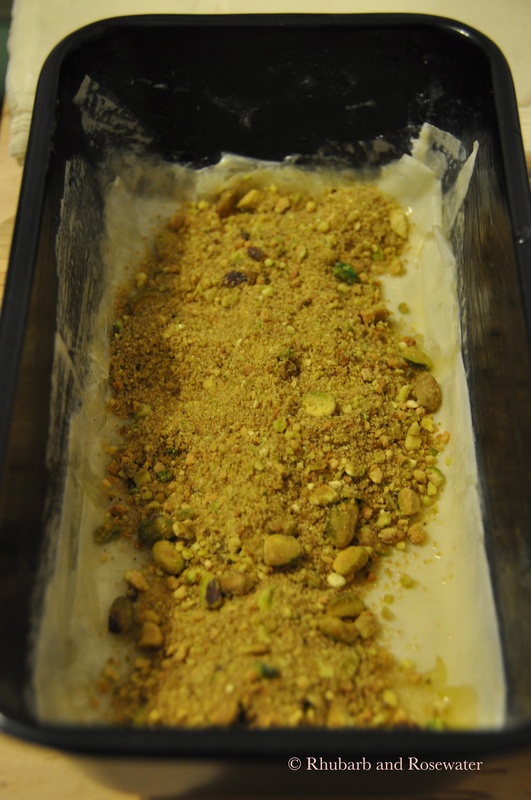 Spread the ground or chopped nuts evenly on the top layer and then add a new layer of phyllo dough and butter it. Add another 4-5 layers. 4.) Bake it in the oven for ca. 30 minutes. 5.) Take it out of the oven and let it sit for just a few minutes. 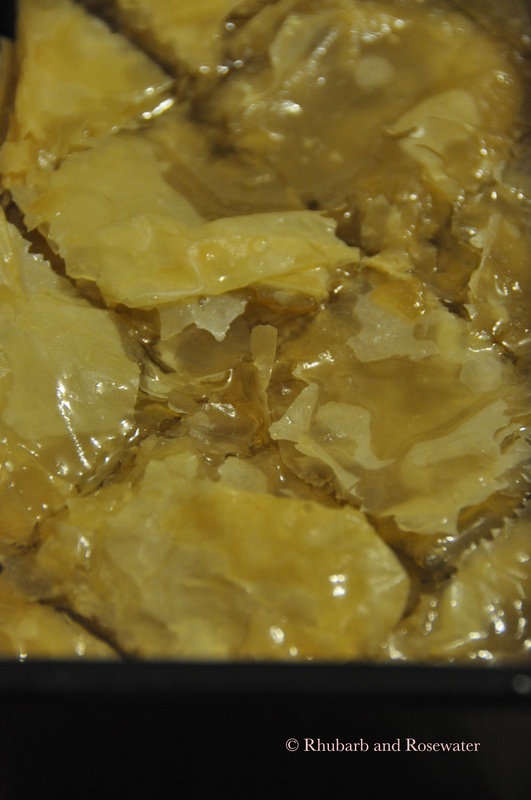 Pour half of the syrup over the baklava. Then cut them into diamonds and pour the rest of the syrup over them. 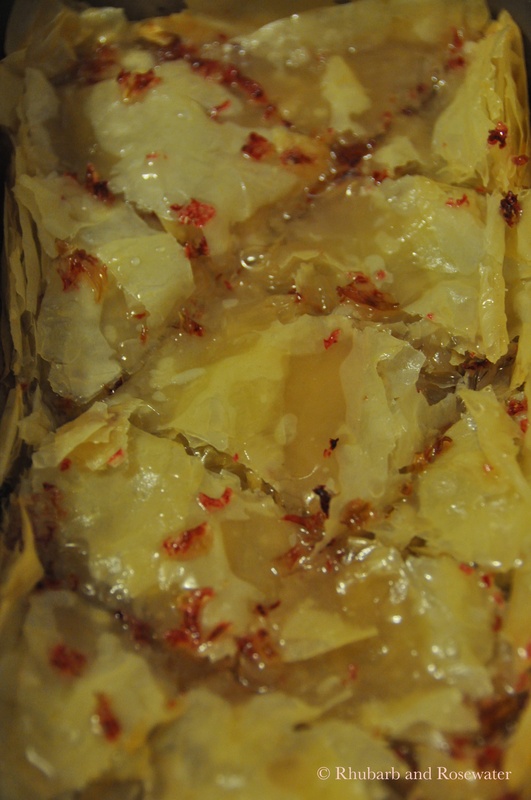 This is just one version of making baklava. 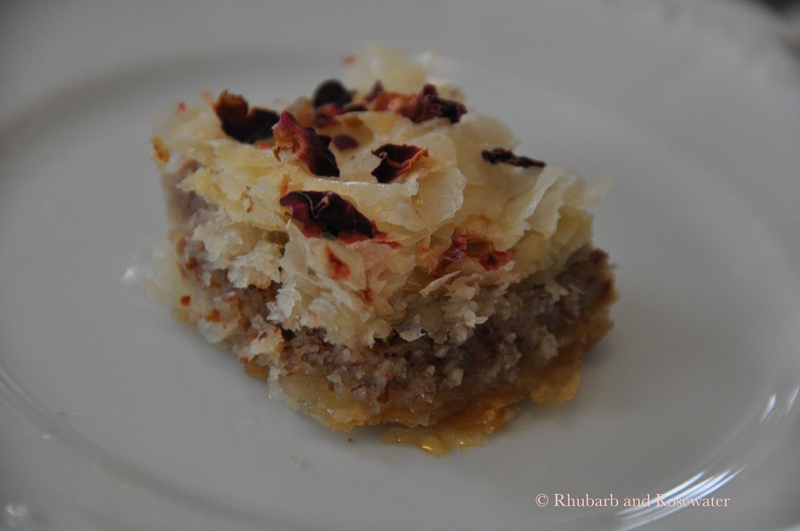 If your recipe is different or you make the dough for baklava yourself, please tell me more in a comment! Wow! Great flavours. Where to start! Here comes the complete recipe! It took me a little longer as the Easter weekend was so busy! There are many more possible flavor combinations. 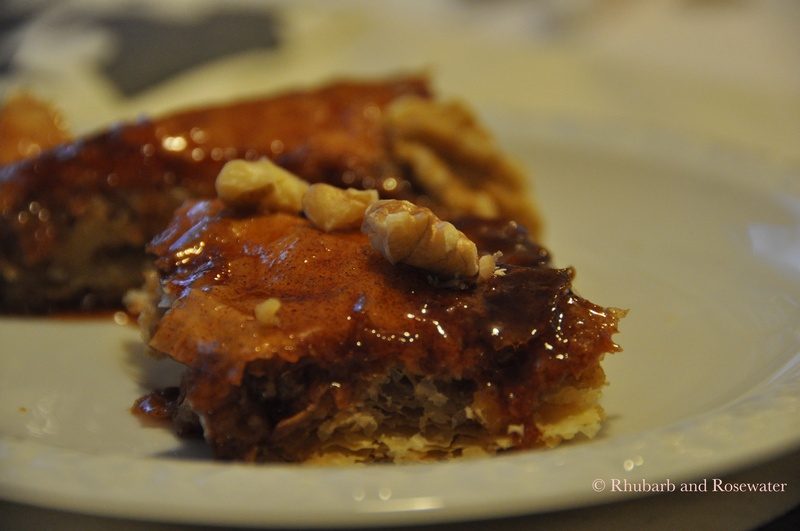 Once I combined chopped walnuts and hazelnuts with cinnamon for the filling, together with a simple honey syrup – yummy! 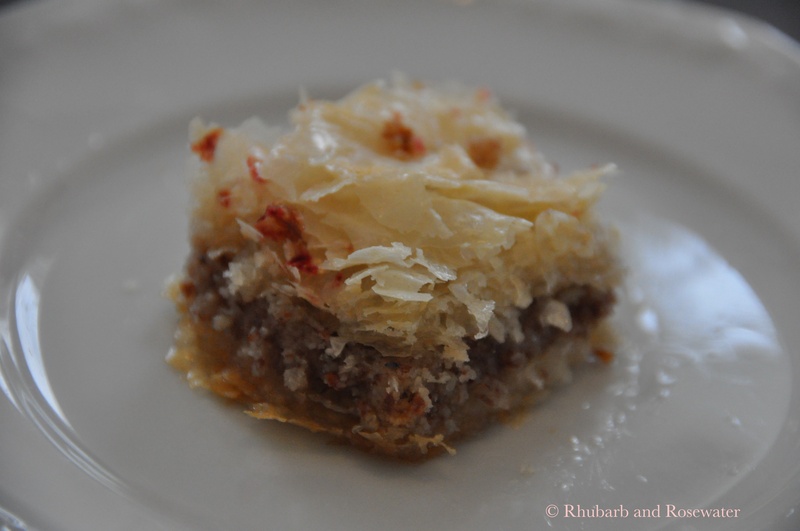 I love baklava and I love all three flavor combinations you played with, wonderful! 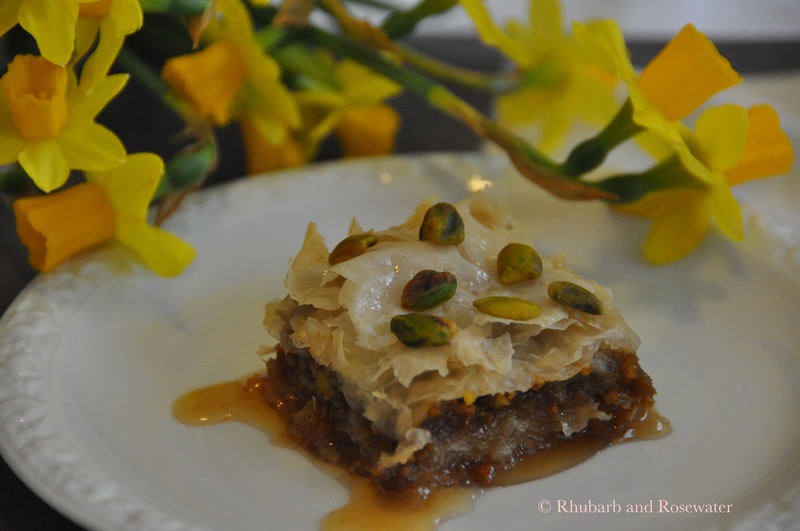 Do you have your own special baklava recipe? Mine is really simple and I do not even make the dough myself. However, I would love to try a more sophisticated and/or more authentic recipe!